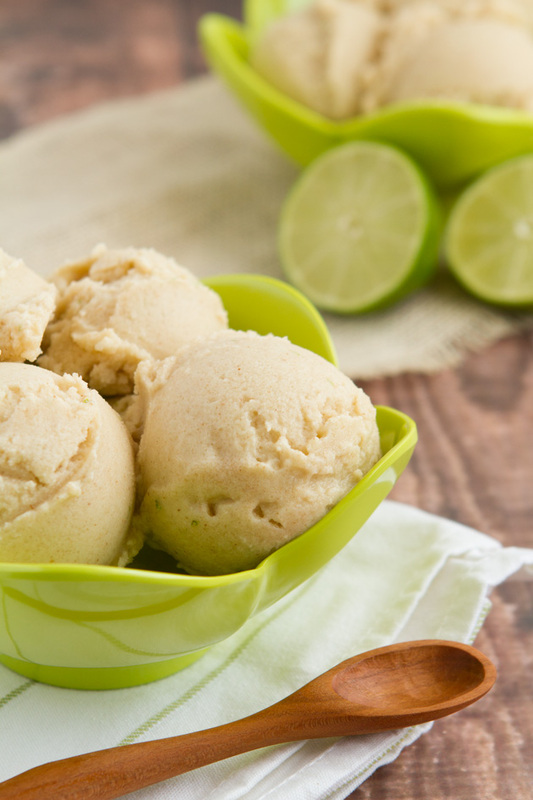 Healthy dairy-free sherbet made with coconut water and sweetened with medjool dates. It’s soft, delicious and a perfect way to balance your electrolytes in the summer sun. Add coconut water, coconut milk, medjool dates and lime juice into the jug of your high-powered blender. Right before blending, add gelatin to a separate bowl and mix with ¼ cup water. Add the gelatin mixture to the blender and blend everything on high for 30-45 seconds, or until smooth. Transfer mixture to a glass container and freeze for an hour or refrigerate overnight. This step is imperative. The mixture needs to be cold before it goes through an ice cream maker. 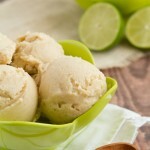 Transfer cold mixture to your ice cream maker and churn as per manufacturers directions. Eat immediately, or freeze for later. When ready to consume, let it sit out on the counter for a couple of minutes. Coconut Water: You can use fresh or packaged coconut water for this recipe, whatever is best for you. Medjool Dates: If you’re sensitive to sugar, 10-15 drops of stevia may work well here. Coconut water is naturally pretty sweet, so you may find that you don’t have to add anything at all.